And bungee jumping is something I just won’t do. Finally read all of them! Loved them! Hope you keep making them! I certainly plan on doing so. Thanks for reading them! I don’t think I’d try it either. 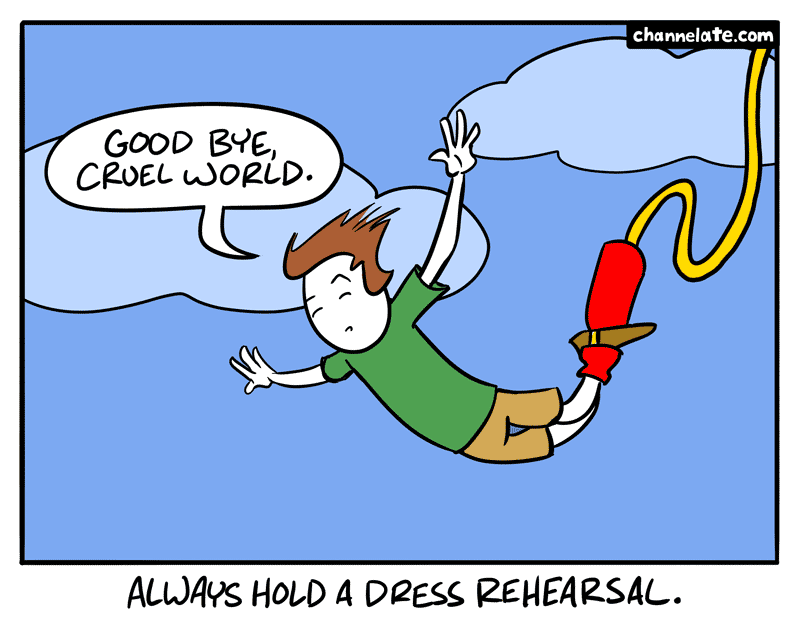 I’d probably parachute-jump first. Brown pants are a good choice for suicide. wE7zJx Right now it looks like BlogEngine is the best blogging platform available right now. (from what I ave read) Is that what you are using on your blog? wlSTlx Just to let you know your site appears a little bit different on Safari on my laptop using Linux.